We can deliver on Saturday or Sundays as well as any week day. And with a 15 minute time window. We ship worldwide every day with courier pickup twice a day. Your order will be processed and despatched the same day where possible (excluding Saturday and Sunday). Order before 1.30pm for next working day UK mainland delivery. There may be a delay if delivery address is not the same as card holders billing address or circumstances out of our control. You can track your order from your account area. Log-in to your account via a link on every page of our website. We stock all the products we display with only a few exceptions. We will update you via email if we are temporarily out of stock or if there is any kind of problem with your order. Please allow 7 days after shipping before contacting our despatch department. We can not ship Horn Cabinets outside the UK mainland. It may be possible for customers to organise their own delivery arrangements. All new products are insured against damage in transit. All deliveries MUST be checked on receipt. In the unlikely event that your product has been damaged in transit, we ask our customers to visually check the outer box before signing for the delivery. If there is any sign that the packing is damaged, please sign as 'box damaged'. Please inspect your product after delivery as any damage or shortages must be reported to us within 24 hours after delivery by email. We use award winning Courier company to deliver our larger orders. With deliveries available 7 days a week in the UK and a 15 minute time window given to our customer so you don't have to wait in all day for your delivery from us. Watch below to see how your parcel is handled. 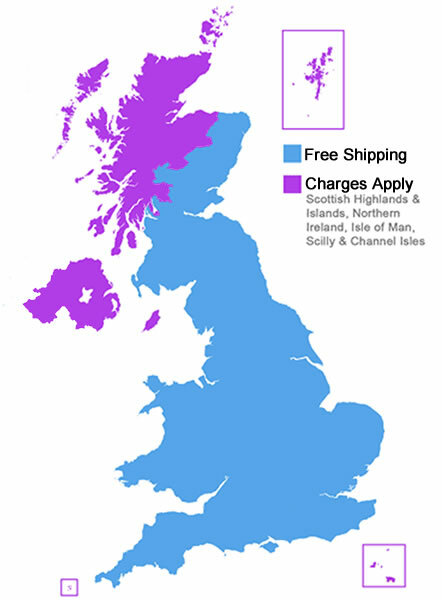 We offer FREE Deliveries on all Sewing Machines within the UK mainland. Small orders under £25 are subject to small shipping charge (from 49p) and are sent Royal Mail 48 service (this is not a 48 hour service) unless a courier option has been selected. With deliveries now available 7 days a week in the UK and a 15 minute time window given to our customer so you don't have to wait in all day for your delivery from us. Saturday or Sunday delivery options are available. Delivery to a BFPO address is free of charge for orders over £25. Customers in UK Islands Norther Ireland and some scotish counties my experience slight delays in shipping and additional charges may apply. Overseas orders are subject to shipping at cost price. Small packets are all sent Airmail (from as little as £2.49) and usually take between 3 and 10 working days but can be subject to further delays beyond our control. Larger items, shipping is between 2 and 4 working days when sent via courier. Some countries in Europe do not have to pay our UK 20% VAT. This tax will be deducted if applicable in the shopping cart after selecting a destination country. Because we ship many products every day we have negotiated some low European shipping prices. Once items are in your shopping cart, use the "Estimate shipping" box to show shipping price options. There is no obligation to purchase at this point. We cannot be held responsible for delays and any duty relating to your country. Small packets are all sent Airmail and usually take between 7 and 14 working days but can be subject to further delays beyond our control. Larger items, shipping is between 3 and 5 working days when sent via courier. Often customers purchasing from outside the UK do not have to pay our UK 20% VAT. This tax will be deducted if applicable in the shopping cart after selecting a delivery country. Notification of shipping charges and any tax deduction in the shopping cart. You can view your shopping cart at any time by clicking "view cart" this will take you to the shopping cart where you can select shipping destination and check shipping cost and tax deduction for your relevant area. We cannot be held responsible for delays and any duty relating to your country.